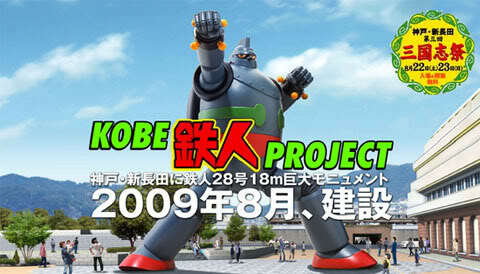 Remember Gigantor (Tetsujin 28-go in Japan)? Well most of us might not remember its first black and white run but this was big in the late 60s and 70s. If there’s a granddaddy of giant robots, Gigantor’s one of them. It was one of the heralds of Japanese animation that broke ground in the US. Younger generations might better remember the colorized version shown in the 90s. Anyway, the Japanese sure know how to pay tribute to their icons. A group is now putting up a 60-foot Gigantor monument in Kobe. The group is expecting a September completion.